Most of us know about Epstein-Barr Virus (EBV) as the “kissing disease” and cause of infectious mononucleosis. While we know a lot about the heavy fatigue, the lost school days, the swollen tonsils and the body tenderness that can last for days and weeks with mononucleosis; the conversation tends to stop there. But for some, the conversation doesn’t stop there. EBV can become reactivated later in the life, and you may not even know it. EBV is a gamma-herpes virus also known as human herpesvirus 4 and is estimated to infect as much as 98% of the world’s population (1). While the history of EBV spans over 5 decades, it has only been over the last 5-10 years that we have started to understand some of the possible mechanisms of how EBV may lead to long-term health complications. While EBV is most widely known as the causative agent of infectious mononucleosis, researchers have identified a number of mechanisms of how EBV infection may increase risk autoimmunity as well as some cancers. 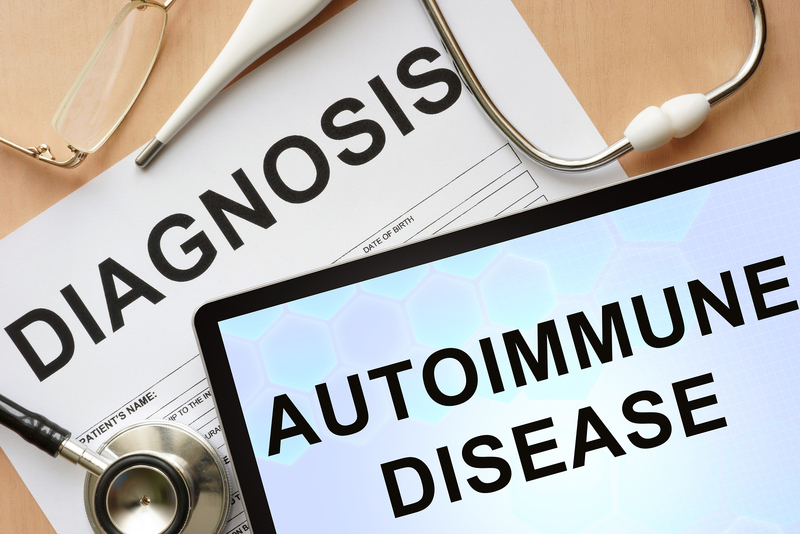 While general infections may trigger autoimmune disease, there may be a long lag between initial infection and the onset of disease (2; 3). Through new understandings from epigenetics and a greater appreciation for coinfections - researchers are just beginning to piece together why EBV remains latent in some people, but reactivated in others; and why some people get autoimmune disease and/or cancer, while others have few, if any long-term complications. EBV is implicated in a number of autoimmune disorders including Systemic Lupus Erythematosus (SLE), multiple sclerosis, autoimmune thyroiditis, rheumatoid arthritis (RA), inflammatory bowel diseases, insulin-dependent diabetes mellitus, Sjogren’s syndrome, myasthenia gravis, and autoimmune liver diseases such as autoimmune hepatitis, primary biliary cirrhosis and primary sclerosing cholangitis. While some infections may both cause and protect from autoimmunity, EBV appears to act largely as a trigger of immune problems when compared to the long-term effects of similar herpesviruses and infections (4). Authors are careful to note that infectious agents may work both alone as well as in additive and synergistic concert with other immune, genetic, dietary and environmental factors. (5; 6). A number of mechanisms are thought to link EBV with autoimmunity. Molecular mimicry is when the immune system mistakes self-proteins as a foreign pathogen. Protein sequences found on pathogens and their byproducts, may mirror similar sequences on healthy tissue (7). EBV may induce systemic lupus erythematosus via molecular mimicry. EBV antigens are known to cross-react with lupus-specific antigens (8). EBV infection has been implicated as an autoimmune trigger involved in the development of Parkinson’s disease through molecular mimicry with the neural protein alpha-synuclein (9) . Bystander activation is a process by which immune cells are activated indirectly due to the inflammatory environment induced by an infection - like a domino effect. Additionally, the inflammation can lead to the breakdown of proteins exposing what researchers call cryptic antigens. Cryptic antigens are protein sequences that are normally hidden from our immune system yet become visible and acted upon in the midst of pathogen-induced inflammation. Additionally, EBV may allow reactive immune cells to persist longer in the body (3; 6) . This is due in part to EBV’s invasion of autoreactive B cells which continue to replicate, and become autoreactive memory B cells that can persist for life. These infected memory B cells build up in tissues - and lead to rises in autoreactive T cells - which also release inflammatory cell messengers such as such as lymphotoxin, tumor necrosis factor-alpha, interleukin-1Beta and IL-6 - ultimately contributing to autoimmune damage in susceptible tissues (10; 11). EBV can evade the immune system by producing proteins that inhibit interferon and T-cell immune pathways, antigen presentation pathways, as well as the as well as proteins that prevent programmed cell-death (apoptosis) (12; 13). When cell growth is overstimulated in susceptible individuals, cancer may result (14). EBV particles and RNA released from infected cells are also sensed by dendritic cells during primary infection - possibly coordinating long-term innate and adaptive immune responses to the virus . Due to the complexity of EBV’s life cycle, researchers have yet to develop an effective vaccine, but new insights on the role of dendritic cells may offer more clues (13; 15). Due to the EBV’s long-term persistence in immune cells, EBV may increase the risk for lymphoma and other lymphoproliferative diseases. Lymphoproliferative diseases have also been associated with cases of SLE, RA, and Sjogren’s Syndrome - potentially demonstrating another link between EBV and immune disorders (1; 11 ; 12; 16). EBV was the first virus to be identified as a carcinogen. It is known to play a role in Burkitt’s lymphoma, Hodgkin’s disease, non-Hodgkin’s lymphoma, nasopharyngeal carcinoma, lymphoma, and leiomyosarcomas in susceptible individuals (17). EBV may also play a contributing indirect and direct role in breast cancer development. One investigation used PCR amplification to determine that EBV genetic material was present in at least 20% of breast tumors studied (18; 19), but other reports found no such evidence (20; 21). Similarly, other work has demonstrated evidence of possible EBV involvement in gastric carcinoma due to its role in immature epithelial cells . The immature cells are not “allowed” to develop into their target cells - therefore they persist and may develop carcinogenic potential (22; 23). As much as 10% of gastric cancers are also now believed to be caused by viruses such as EBV (24; 25). Coinfections of EBV with other viruses such as cytomegalovirus (CMV) may modulate the onset and course of mononucleosis and potential long-term complications (26; 27; 28). Other reported coinfections include respiratory syncytial virus, Chlamydia pneumoniae, human herpesvirus 6, measles virus, parainfluenza virus, influenza, Mycoplasma pneumoniae, adenovirus, Haemophilus influenzae, Klebsiella pneumoniae, parvovirus B19, and Legionella pneumophila. EBV may also complicate cases of HIV and AIDS. (27; 29; 30). Byproducts of bacterial coinfection may also reactivate latent EBV through epigenetic modulation. For instance, a bacterial infection may lead to an increase in lymphocytes - leading to potential interactions between byproducts of both EBV-infected lymphocytes and the bacterial coinfection. Similar epigenetic interactions may help link the association of EBV with periodontitis - which appears to play a role with the coinfection Porphyromonas gingivalis. EBV may interact with Helicobacter pylori infection - modulating the risk of gastric cancer (14; 31). Epigenetic factors such as altered methylation are also believed to modulate risk of EBV infection and cancer development, and may help explain why EBV remains latent in some cases, and reactivated in others (25). The mechanisms of EBV reactivation remain largely unclear (13). Physical or mental stress, as well as the immunosuppression associated with aging may trigger EBV reactivation (14). As discussed earlier, coinfections may also alter the long-term course of EBV. 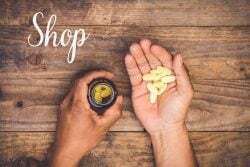 While a wide range of immune strategies may be helpful in reducing the potential burden of EBV reactivation, a few natural therapies may offer specific support. Vitamin D may work directly against enveloped viruses which include EBV, CMV and other coinfections and may offer a role as a therapeutic and preventative agent (32). Vitamin D levels may correlate inversely with EBV activity and modulate risk for other immune complications such as multiple sclerosis (33). Intravenous vitamin C therapy may also have a positive effect on EBV infection. As patients with higher levels of vitamin C have lower EBV antigen levels. The authors found the same effect with patient Vitamin D levels (34). Monolaurin, a lipid extract from coconut oil, has shown anti-viral activity against enveloped viruses including EBV, CMV, and other herpesviruses (35). I use Lauricidin as my go-to source of monolaurin. Monolaurin may work by disintegrating the protective lipid envelope surrounding EBV and other herpesviruses (36; 37).